We are delighted to announce that the Paragon Privacy, Cyber & Technology team is ranked as ‘Number 1 Broker’ in the survey of more than 250 cyber professionals’ active in the London market. 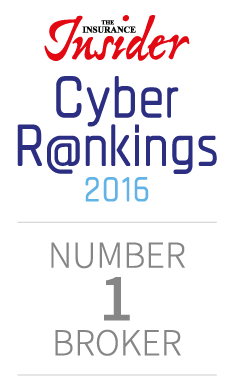 The Insurance Insider Cyber Rankings Survey 2016 is the most comprehensive independent survey of London cyber brokers and underwriters ever conducted. We are proud of this recognition and wish to thank our US broker partners for their support in choosing the Paragon team to represent their clients’ interests in the London, European and Bermuda markets.